The Knightly Order of the Fait Lux, a non profit group of....well....knights in shining armor. They help raise money for other charities. And, they put on quite a good show, too. One of guys even got a bloody lip when his helmet was knocked off. The kids all loved that! LOL! This one looks especially nice on black. 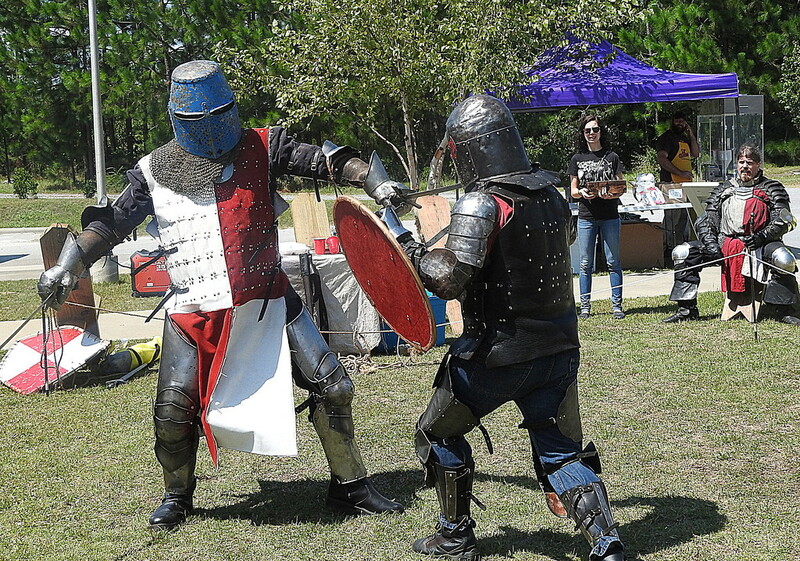 How often do you get a chance to see knights fighting? !